Excellent D trumpet for voice and string jobs. 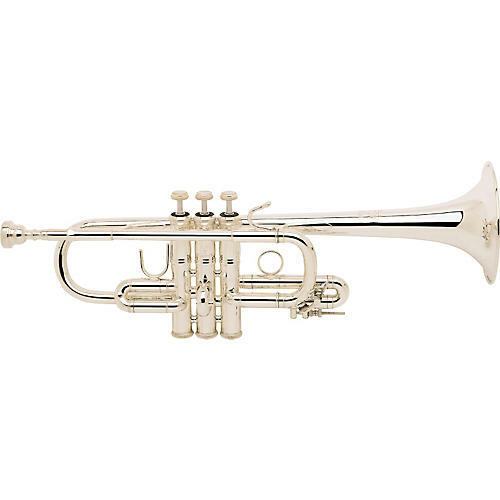 Bach's Stradivarius series D trumpet has a brilliant tone that blends well with voices and strings. It has a 4.8" one-piece, hand-hammered, yellow brass bell, Monel pistons, 1st valve thumb saddle and 3rd valve slide ring, and includes a case and mouthpiece.